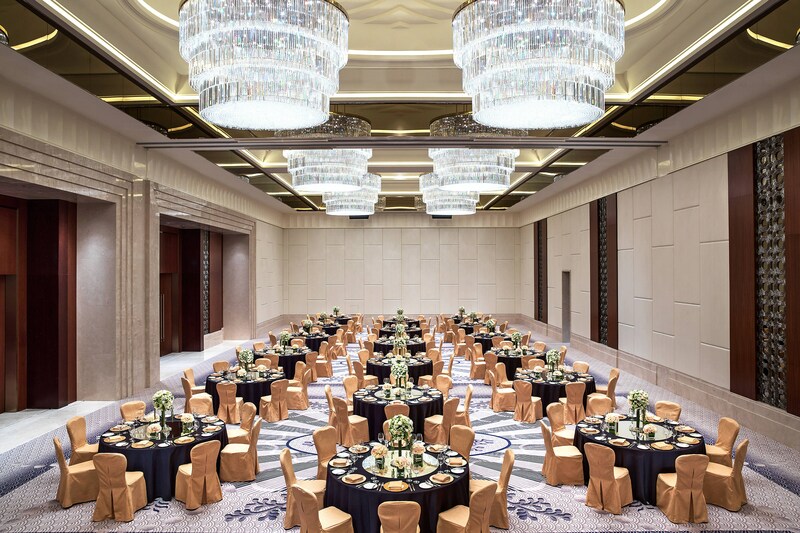 Defining elegance in the heart of the business district, The St. Regis Chengdu is located within steps of Tianfu Square and Chunxi Road. Boasting an iconic address in the ancient city, it is strategically placed near premier shopping and renowned restaurants. Epitomizing uncompromised living, our landmark hotel presents epicurean dining alongside indoor and outdoor pools, The St. Regis Athletic Club and the Iridium Spa. Our visionary hospitality also extends to 1,100 square meters of meeting and conference space. Meticulously decorated to impart timeless style, our 277 guest rooms and 36 suites unite custom furnishings with state-of-the-art amenities. 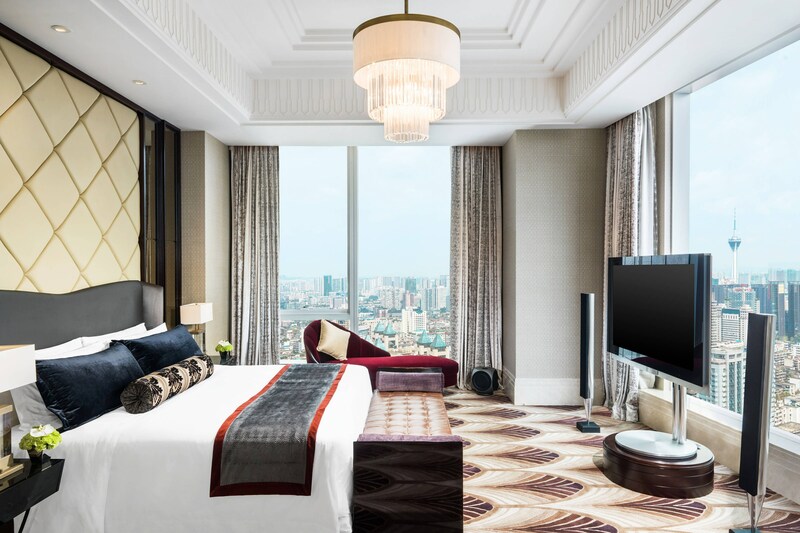 Along with rare views of the city or Tianfu Square, they offer signature St. Regis Butler service, available any time, day or night. As one of St. Regis ritual, afternoon tea at Decanter is creating an opportunity for guests to gather and socialize. Each season, our talent pastry chef will present themed afternoon tea to show the inspiration of St Regis. 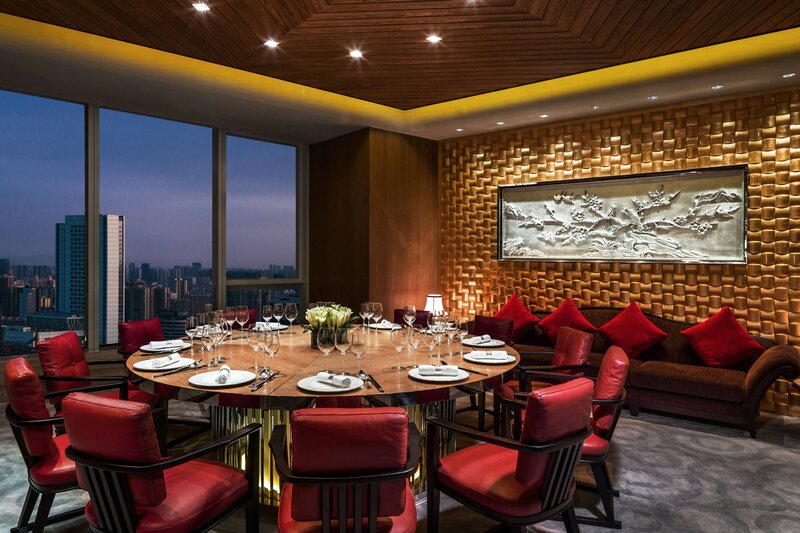 Indulge in an iconic private dining experience with panoramic views of Chengdu skyline. 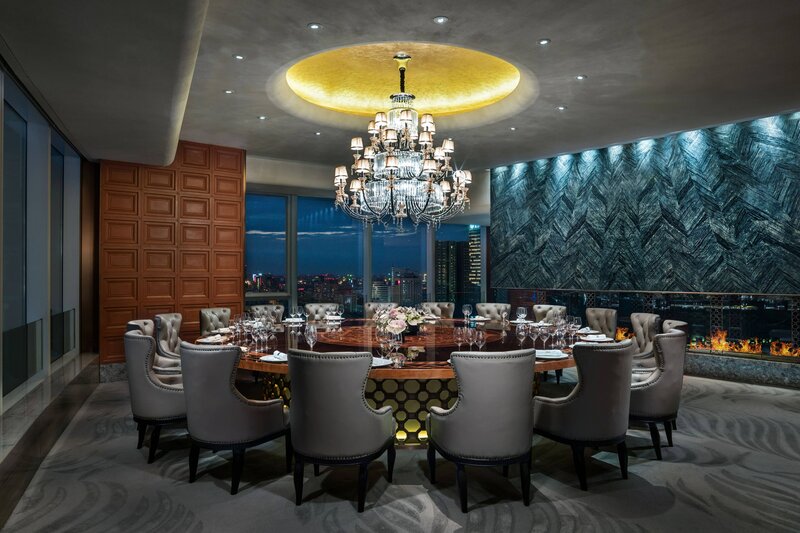 Overlooking the bustling city view of Chengdu, Yun Fu features four distinct private dining rooms and is ideal for after parties, social events and special celebrations. As the capital of Sichuan province in Southwest China, Chengdu has evolved from an ancient city with rich cultural traditions to one known around the world as &apos;the Silicon Valley of China.&apos; Travelers can explore the local attractions as well as the historical Chinese Wine and Shu Brocade culture. Visit the Shuijingfang Museum and enjoy a truly immersive experience that displays the traditional craft of Baijiu. Explore the history and art of fabric weaving at the Chengdu Shu Brocade and Embroidery Museum. 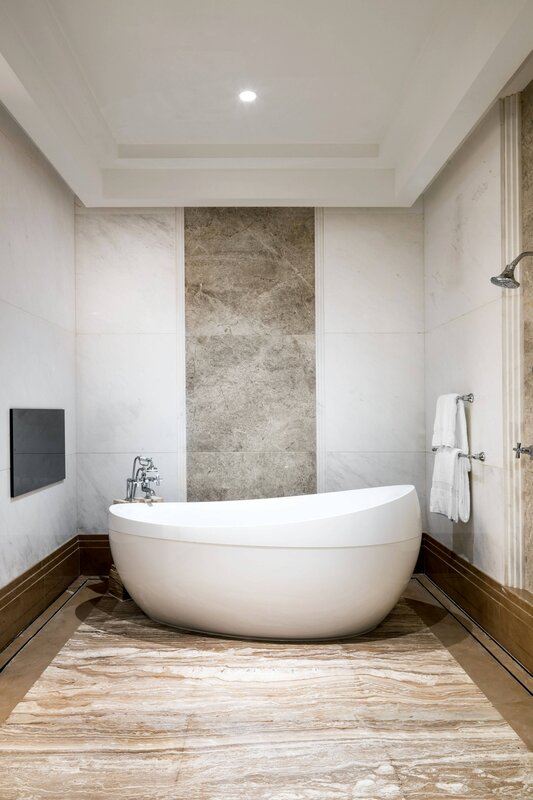 With 325 SQM specious space, the presidential suite is providing honored guest a luxury experience. 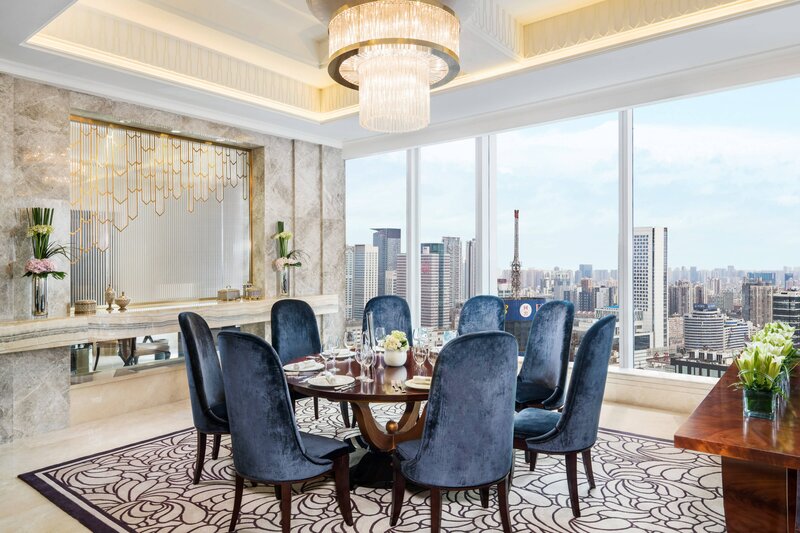 Located on the 18th floor, the suite offers an outdoor Rooftop Terrace where guests can overlook the skyline and Tianfu Square views. 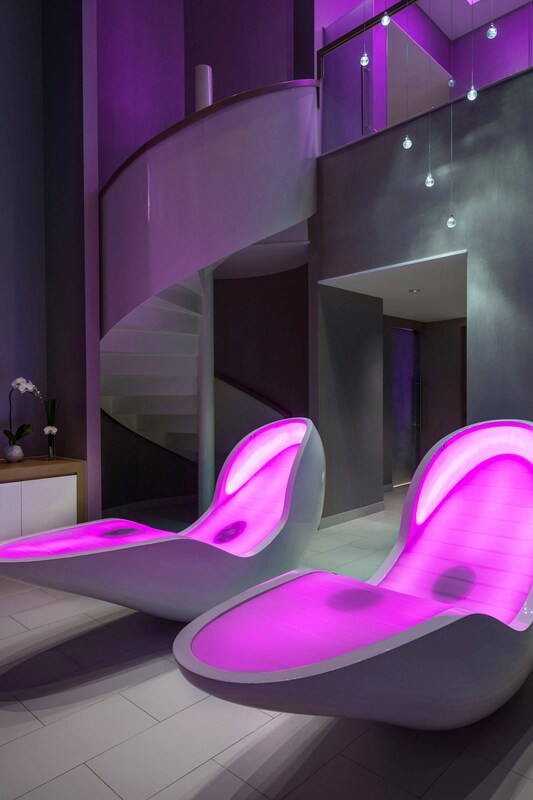 At the suite, the guest can indulge in the unique outdoor pool and even host a themed party to get connected with friends or family. 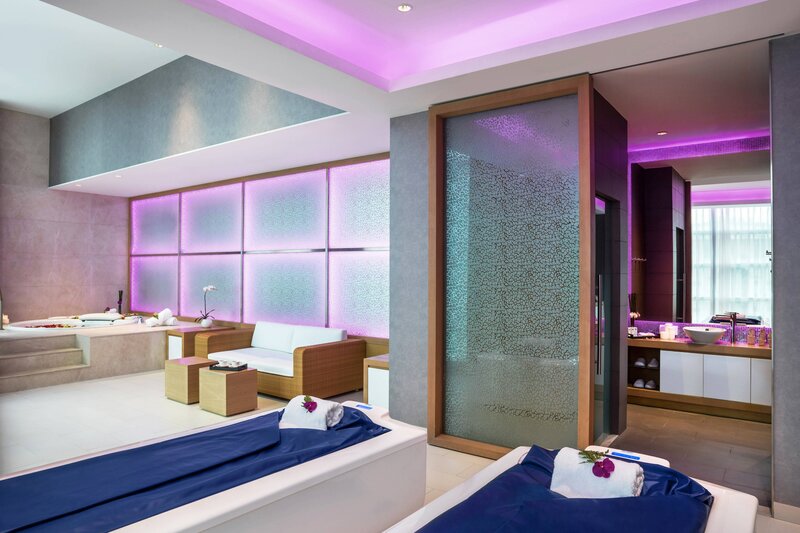 Experience a personalized health and wellness journey in a restorative ambience. 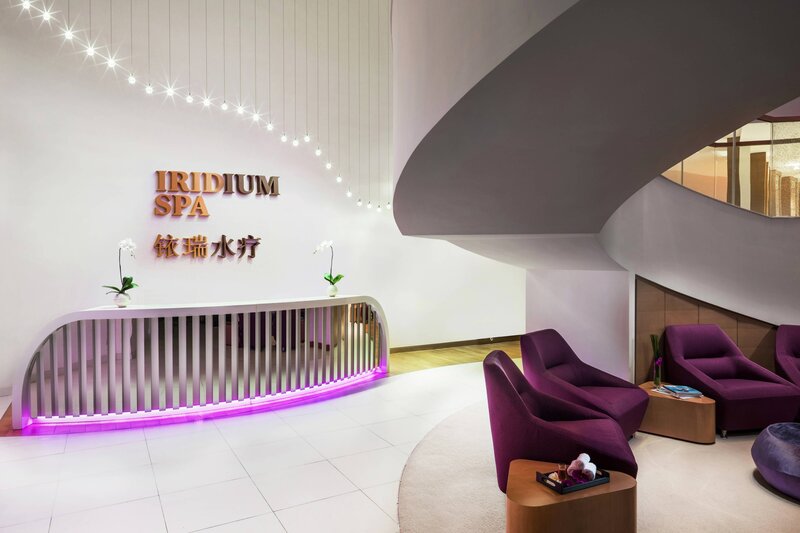 The newest Iridium Spa®, exclusive to St. Regis Hotels & Resorts, offers a blissful experience including nine treatment rooms, sauna and steam rooms, and a modern fitness center. St. Regis is the only luxury hotel in Chengdu to offer both indoor and seasonal outdoor swimming pools. The hotel provides multiple event function spaces. 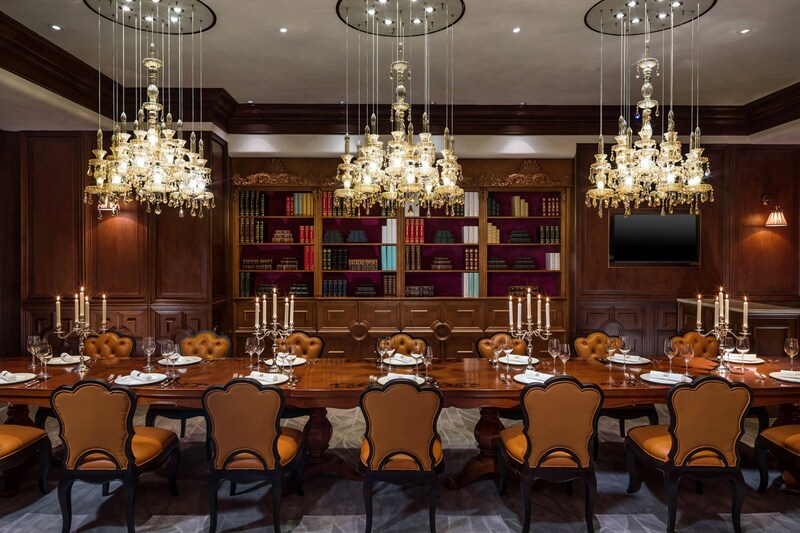 Guests can explore an exclusive experience in our Astor Ballroom and another five function rooms. 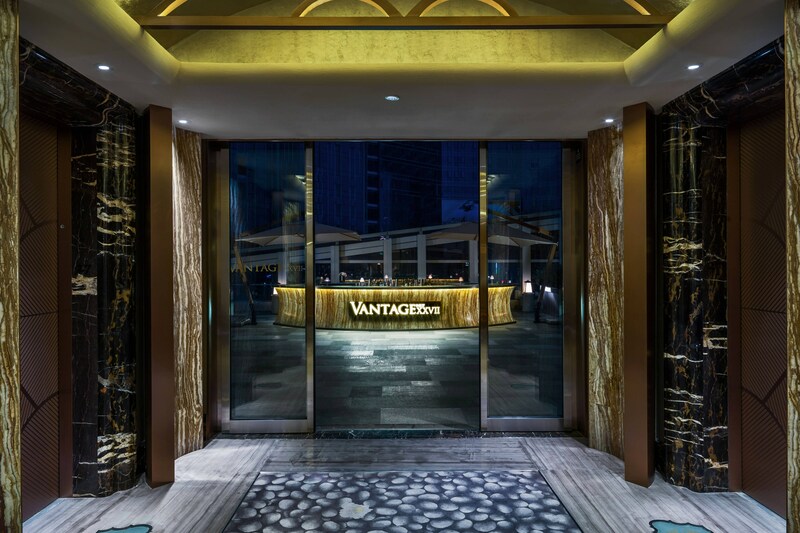 Along with a singular glass wall, the outdoor sky bar Vantage XXVII offers an extraordinary event venue. 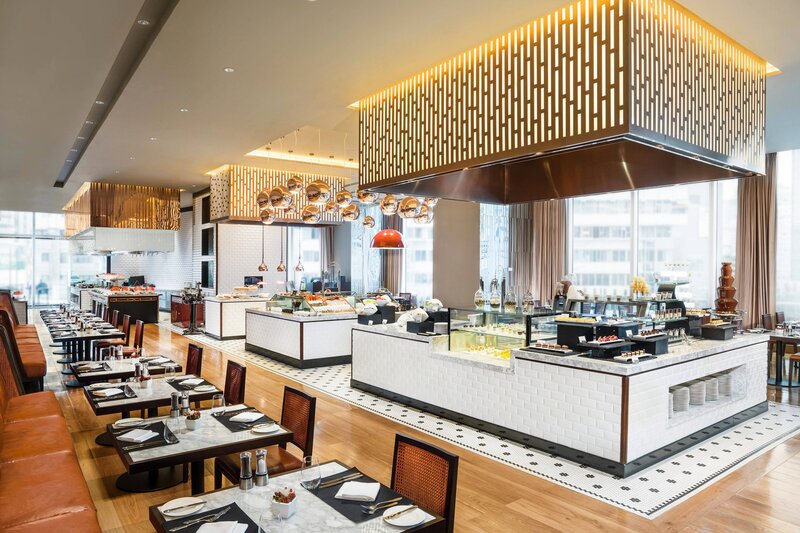 Harmonizing epicurean creations with a range of regional and international flavors, in delightful surroundings, The St. Regis Chengdu presents a collection of engaging dining options—from memorable meals to signature drinks. 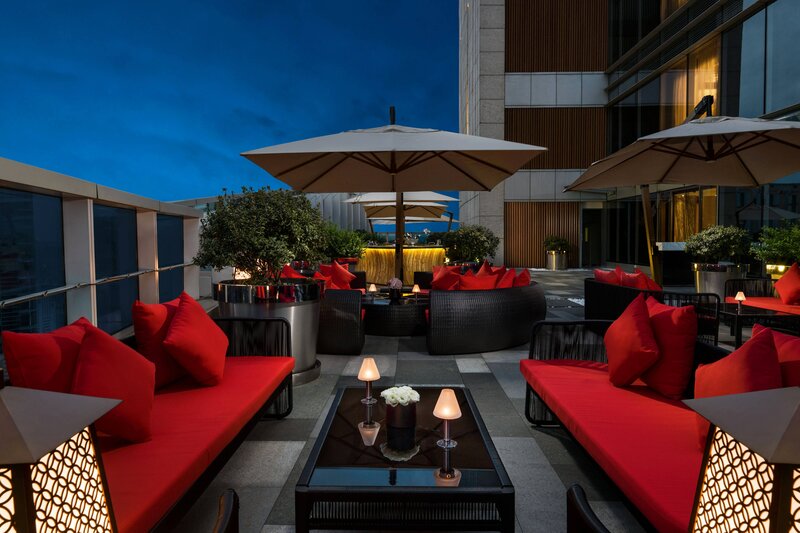 The St. Regis Chengdu features six distinct restaurants and lounges, including Social, Yan Ting, Decanter, Vantage XXVII, Yun Fu and The Drawing Room.